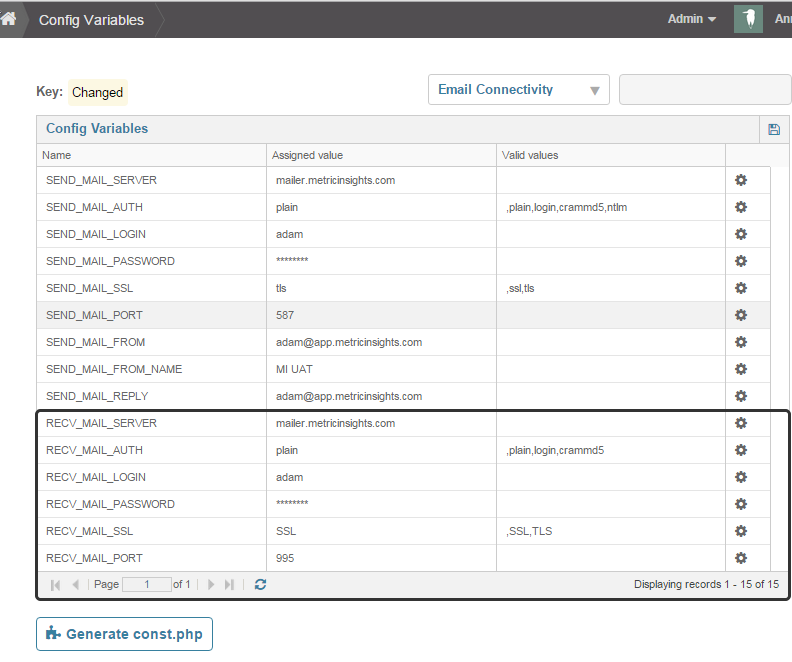 The sample values shown below must be replaced with the correct values for your email servers. SEND_MAIL_AUTH - the authentication method that the server expects. If authentication is not required, use '', otherwise the method should be one of:'plain', 'login', 'crammd5'. If your server requires authentication, most of the time it will be 'login'. Note: these values are case sensitive. SEND_MAIL_SSL - the method of SSL encryption to use. Set to 'ssl' if you are connecting to SMTPS, otherwise use 'tls' if the smtp server requires you to start tls over an unencrypted smtp connection. An empty value will cause SSL to not be used. Note: these values are case sensitive. SEND_MAIL_PORT - the SMTP port that the server listens on. The default ports are 25 for SMTP, and 465 for SMTPS. SEND_MAIL_FROM - the address to send notifications from. SEND_MAIL_FROM_NAME - A sender name to send notifications from. 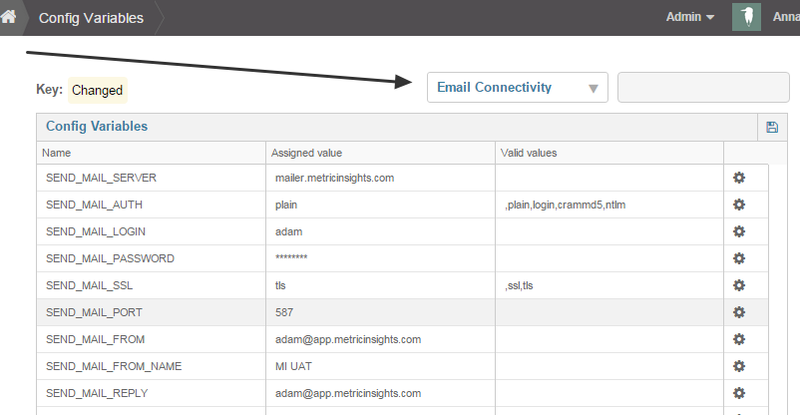 In order to make use of the collaboration features of Metric Insights, you will need an account to automatically process replies. RECV_MAIL_PORT - the port that the POP3 server is listening on. The default is 110 for pop3, and 995 for pop3s.